What Elevates Wicked Edge Among the Competition? A tool like the Wicked Edge Knife Sharpener is essential when it comes to manufacturing a good knife edge. That is because it works to provide an alternative to hand sharpening the blades, leading to a low-effort, long-lasting, and reliable result. If your knives need some sharpening and you're on the lookout for the best knife sharpener for your knives, there’s very little that can go wrong with the Wicked Edge Knife Sharpener. This investment will cover its own cost in no time with the amazing result it provides. 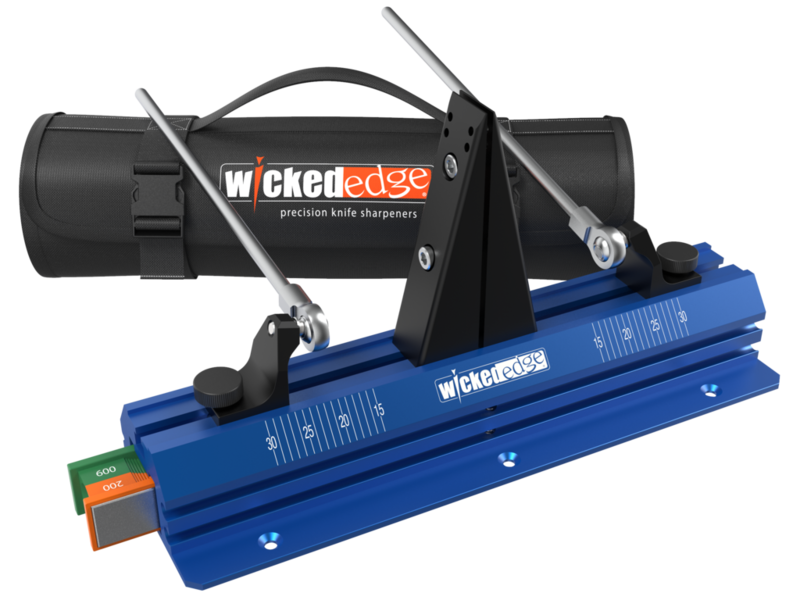 Not sure if the Wicked Edge Knife Sharpener is for you? Read on for a detailed review about this useful tool and how it compares to others. We’ll also discuss the downsides, so you can be perfectly sure of what you're getting before making a final purchase. 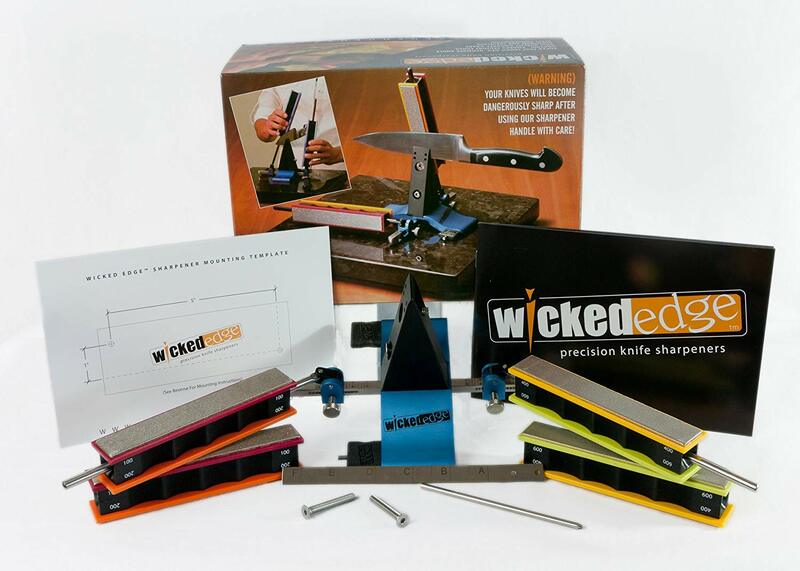 ​The Wicked Edge Knife Sharpener is a high-end knife sharpening system. It’s well-known among those who want the most precise, lasting, and stellar knife sharpeners on the market. The company Wicked Edge is known for turning out solid, fast, reliable sharpeners that can fashion the first edge of a knife. The edges resulting from a Wicked Edge Knife Sharpener are known to last for a long time, have the least amount of blade wear, and be among the best choices overall. The Wicked Edge Knife Sharpener is the best knife sharpener according to Blade Magazine. It comes with a quartz stone base for optimum stability, but you can also choose to do without it. It also has excellent value for the money, and usually offers free shipping with a guaranteed two-day delivery. However, these perks probably depend upon the selling platform and vendor for the sharpener itself. Other features that enable the amazing result of the Wicked Edge Knife Sharpener are the ball-joint guide rod and the diamond stones. The rod system makes sure you get a consistent angle when making and sharpening the knife’s blade. The diamond stones are eight in number, equally divided between 600, 400, 200, and 100 grit. There’s also a knife brace that helps produce flexible blades such as those required for fillet knives. On Amazon, it gets 4.6 out of 5 stars, and most customers seem very satisfied with their purchase. The pricing of the Wicked Edge Knife Sharpener’s basic package is around three hundred dollars. This includes an additional quartz base for mounting the whole system. If you don’t get the base, you’ll have to mount the system directly on a bench or worktable. If your budget allows it, you may also choose to upgrade and go for the Pro-Pack II upgrade kit. This package contains some micro-adjustable arms. According to several reviews online, there’s a lot of value in the Wicked Edge Knife Sharpener. If you want solid results, it's worthwhile to invest in this system and all its trimmings. 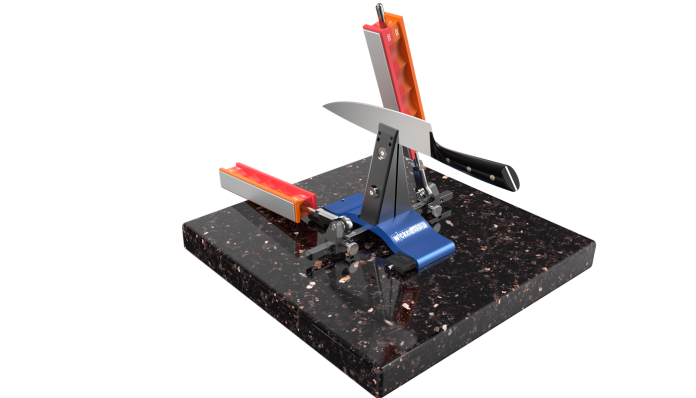 ​What makes the Wicked Edge Knife Sharpener and the company behind it the best in their business is that they work to provide the best knife sharpener set to date. They don’t spare any expense or cut any corners in this regard. If you’re an enthusiast for making customer knives or own a collection that needs frequent sharpening, this is the system to go for. The results of the Wicked Edge Knife Sharpener subsystem are quite astounding, according to many in-depth reviews. The stones work so well that they can even whittle the hair off the person holding the knife. In fact, this system might even come in handy for making a small business providing knife-sharpening services. The Wicked Edge Knife Sharpener is especially handy when it comes to sharpening blades made of super-steel. It helps these knives regain their edges and become like new again. While other similar devices might produce the same level of sharpness, they can’t compete with the Wicked Edge Knife Sharpener for sheer accuracy and precision. ​The Wicked Edge Knife Sharpener certainly does beat other brands according to several feedbacks and reviews. It’s now time to look at just what makes this happen. 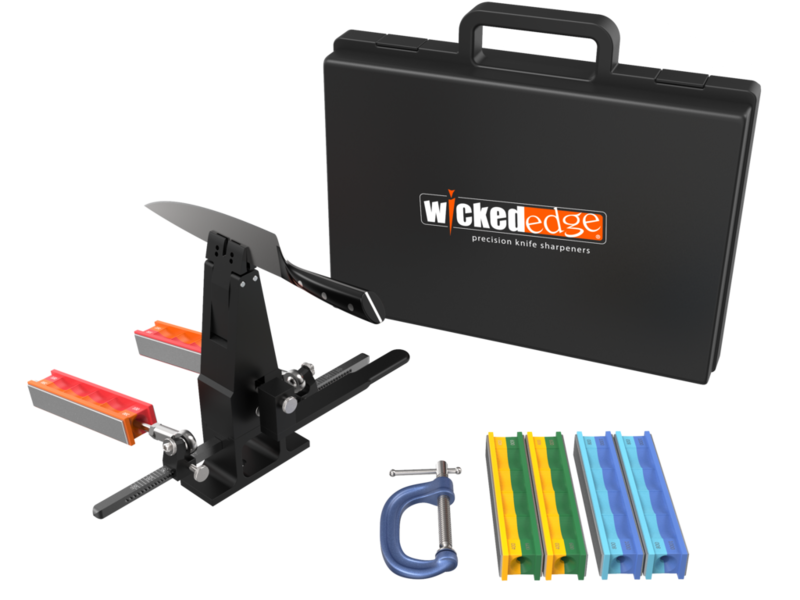 Many have tried out the Wicked Edge Knife Sharpener in conjunction with other systems that claim to deliver the best sharpening results. 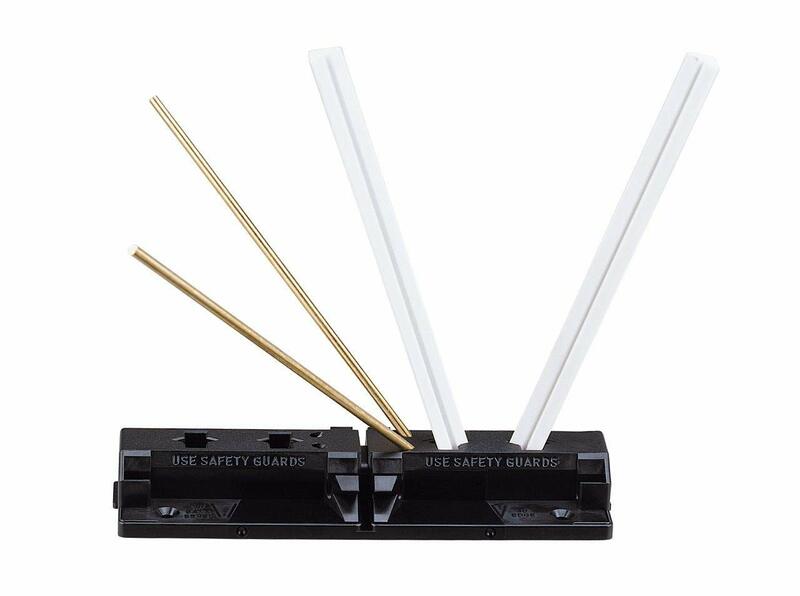 The Lansky Diamond Deluxe sharpening system is reported to have an easy, user-friendly system. That is the same feature as the Wicked Edge Knife Sharpener, as reviews say even a monkey can use it to sharpen a knife! Hence, both these systems are probably equally easy to use even for beginners. They both also come with included instructions that make their operation even simple. The difference here, however, is in the way that the Wicked Edge Knife Sharpener provides a more stable experience. It holds the knife steady near the clamp while the guide rods further assist the stability. 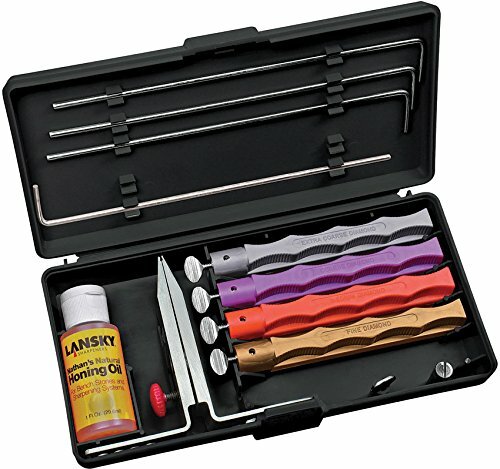 The Lansky system, on the other hand, has a bit of give, making you risk the knife slipping if you don’t watch out. The results of both systems are great, but the Wicked Edge Knife Sharpener makes for an easier, more stable performance. 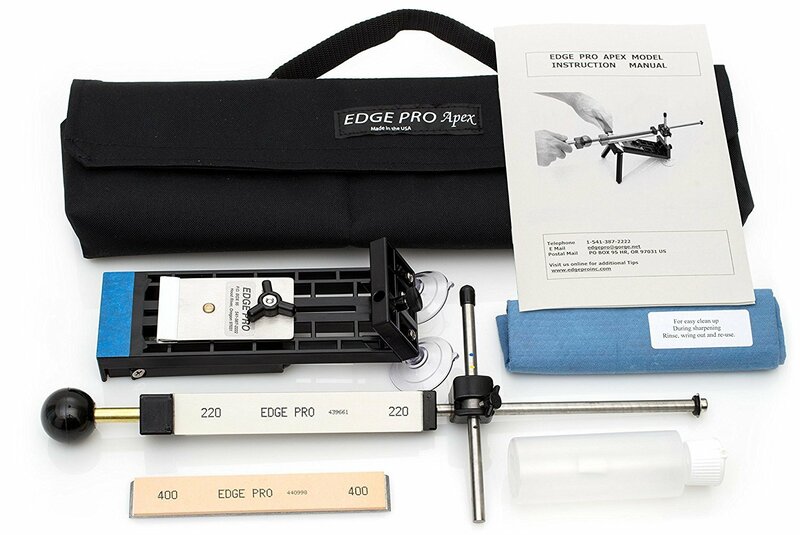 The Edge Pro is another knife sharpener that’s comparable with the Wicked Edge Knife Sharpener. While both sharpeners guarantee excellent results, the Edge Pro does require you to hold the knife manually while sharpening. 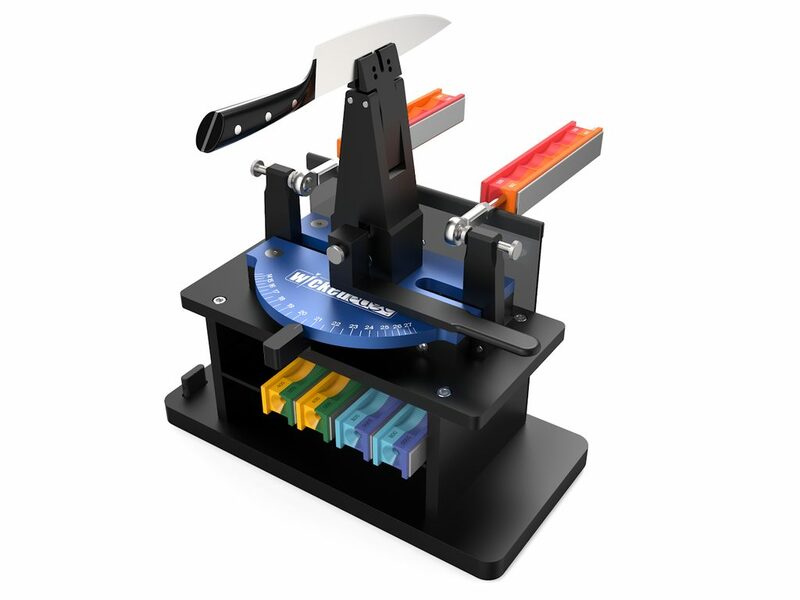 The Wicked Edge Knife Sharpener is also superior to the Edge Pro in providing repeatable, non-varied results. Its main advantage is the clamp system, which makes for an exact result every single time. Plus, the diamond stones of the Wicked Edge Knife Sharpener are more long-lasting than the Edge Pro’s. However, the Edge Pro does have a more reasonable price than the Wicked Edge Knife Sharpener. The main difference between the Spyderco and the Wicked Edge Knife Sharpener is the speed at which they sharpen. 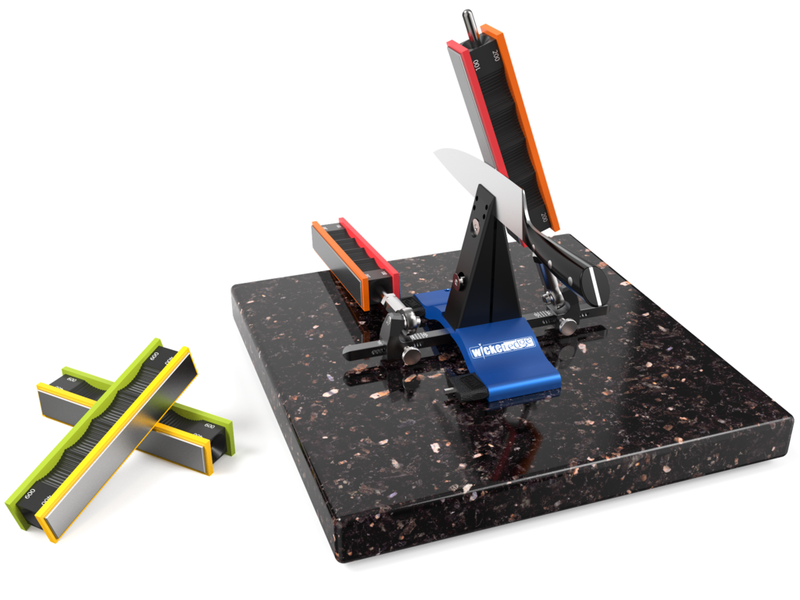 The Wicked Edge Knife Sharpener has two stone sets. That provides a simultaneous sharpening experience for both sides of the knife blade. The basic kits of the Wicked Edge Knife Sharpener come with diamond stones of different grits. This setting means that it can easily sharpen even very tough steel blades. For sheer speed, then, the Spyderco simply cannot compare. ​While other systems might be able to get your knife blades as sharp as the Wicked Edge Knife Sharpener, this device is the best of the lot. It provides not just sharpness, but also accurate and repeatable results. Many reviewers have used it extensively and written glowing reports of their experience. If you have a large collection of knives or are conducting any business in this field, you’ll know how important a razor edge is. You should be serious about sharpening your knives with a high level of precision and accuracy. That is exactly what the Wicked Edge Knife Sharpener can give you. You’ll probably be spending a lot of time with a knife sharpener, so the quick performance of the Wicked Edge Knife Sharpener should please you. All these reasons and more are why you should invest in the Wicked Edge Knife Sharpener. While it may cost quite a pretty penny, it will also save your knife collection that’s probably worth a lot more. A good knife can cost upwards, so don’t underestimate the amazing treatment of the Wicked Edge Knife Sharpener.